If you were to trace Stacy Hollowell’s coaching career back to have its genesis in 2003, you would need a passport and a plane ticket handy. 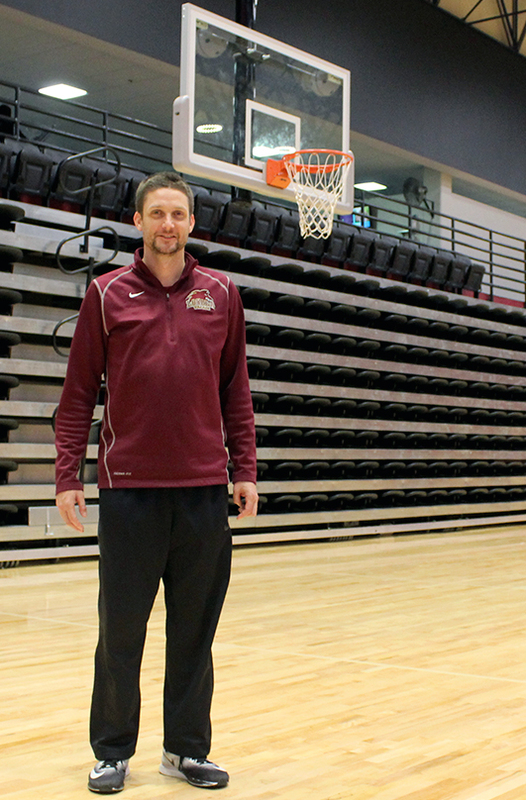 The men’s basketball head coach did not always command the Loyola team from the sidelines. As Hollowell crossed oceans to coach on a global stage in the Middle East and Asia. “At the end of 2002 I was contacted and asked if I would be interested in becoming an assistant coach for the national team of Qatar. I knew where Qatar was. 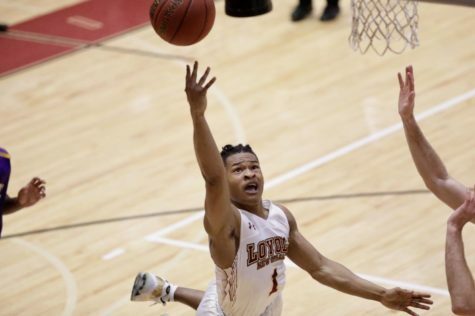 By the time that I got there in February of 2003, you’re looking at about a year and four months out from September 11 and I’m just going to coach basketball in the Middle East like it’s no big deal,” Hollowell said. Two years later he helped lead the Qatar national team participate in the 2006 International Basketball Federation World Championship in Hamamatsu, Japan. “The talent that was in that tournament was so amazing. In our group was Australia and Turkey…Brazil was in that group, Greece, us and Lithuania. 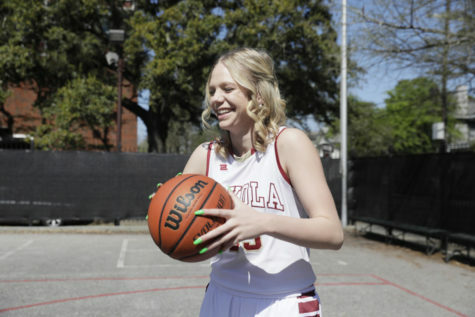 So it was just a tremendous experience,” Hollowell said. His coaching endeavors brought his team to compete in the Arab Games versus the Palestinian national team in 2004. Hollowell garnered a reputation for himself, opening the door for a position on the Chinese national team and a coaching job in Bahrain. After the birth of Hollowell’s daughter and son, just 17 months apart, Hollowell chose to return to the United States. 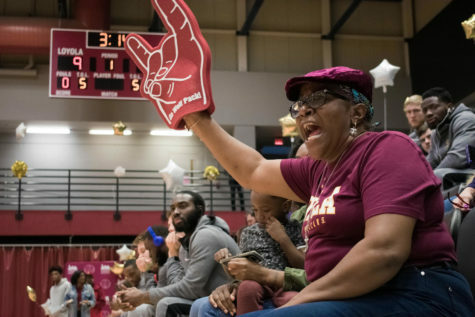 By the time that Hollowell arrived at Loyola as an assistant coach, the men’s basketball team was being coached by Michael Giorlando. 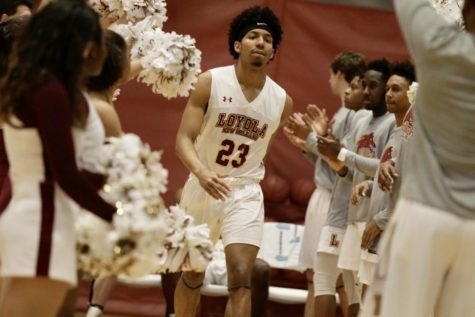 Giorlando, who doubled as Loyola’s athletic director and head men’s basketball coach, stepped down in the summer of 2014 and was replaced by Hollowell and Brett Simpson as head basketball coach and athletic director, respectively. Giorlando passed down a recruiting model to Hollowell that the current coaching staff continues to follow to this day. 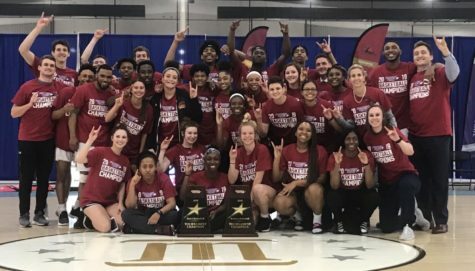 That recruiting model has yielded success for Hollowell since he took over in 2014. 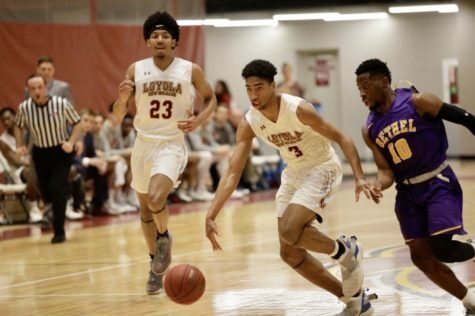 In the midst of his fourth season as the head coach for the Wolf Pack basketball team, Hollowell’s overall record sits at 63-44. 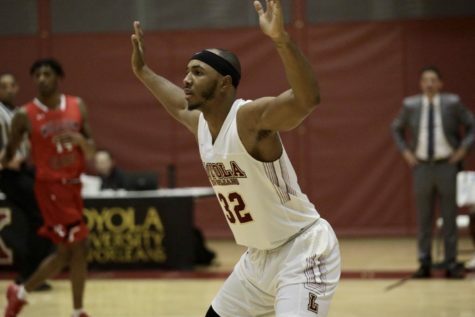 Hollowell’s career at Loyola is underscored by last year’s season in which the Wolf Pack finished the year 22-10 and secured a post-season National Association of Intercollegiate Athletics National Tournament appearance for the first time since 1946. 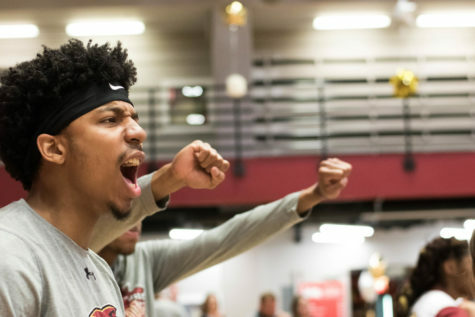 Hollowell points back to his lengthy seven-year stint overseas as a source for much of his success and his mental development as a coach. “I travelled and played games in just about 30 countries. Experiences that you really can’t put a price on. I don’t have one negative thing to say about any of the experiences that I had. I don’t know why I was fortunate for all of them to be really unique and positive, but they were,” Hollowell said. 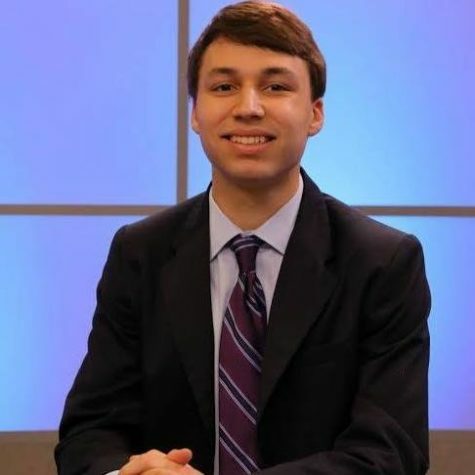 His recent successes has gained him recognition on the national level. 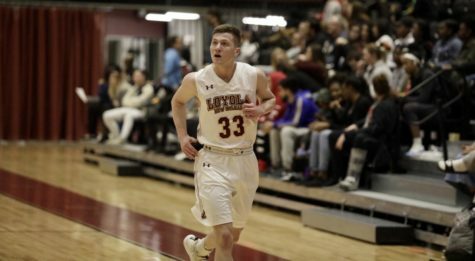 Hollowell topped the latest edition of coachstat.net’s “Diamond in the Rough” category — a list featuring 25 men’s basketball coaches who have shown their ability to succeed in a small college setting. “Anytime you get recognition you feel good about it. To me, it says that I’ve been able to work with really good guys and I’ve been able to learn the game from guys that know it at a high level. 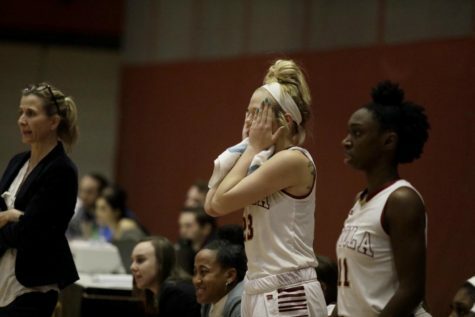 We have great players that are continuing to build our program,” Hollowell said.